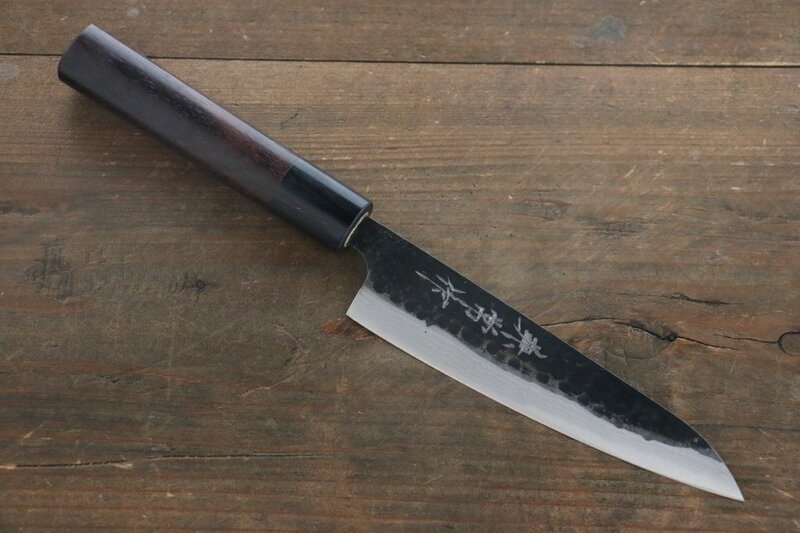 Before the development of stainless steel for mass production all knives were made of Carbon Steel. 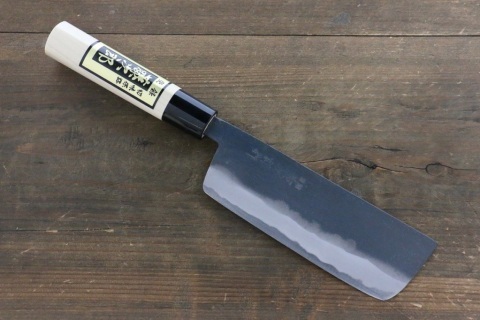 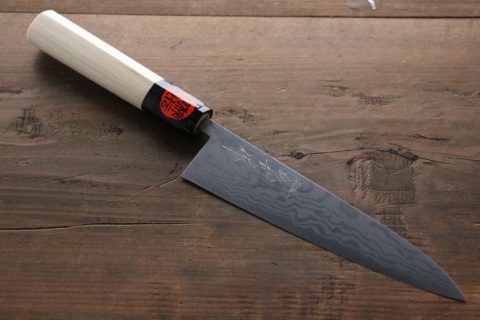 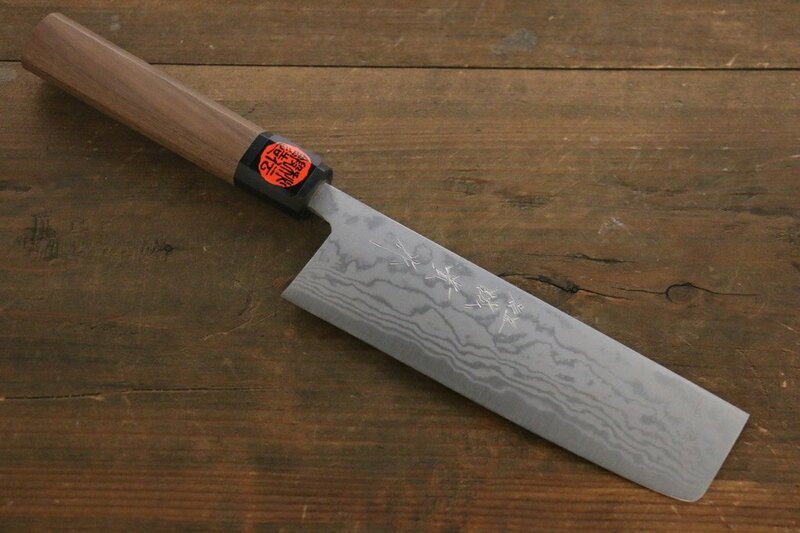 Carbon steel is the perfect material for blade construction. It can be made extremely sharp often with a tighter edge than could ever be achieved with a Stainless blade. 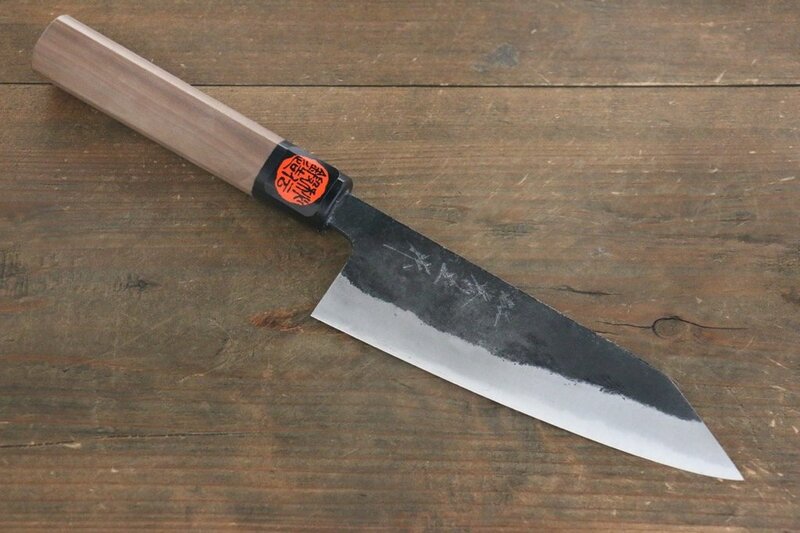 ​It also retains that edge for a long time and easy to sharpen. Some of the best knives are still Carbon Steel. If you're not use to using Carbon Steel knives you will surely feel the difference in the way it slices, any discolouration that can occur over time adds character to the knife and shouldn't be anything to be concerned about. 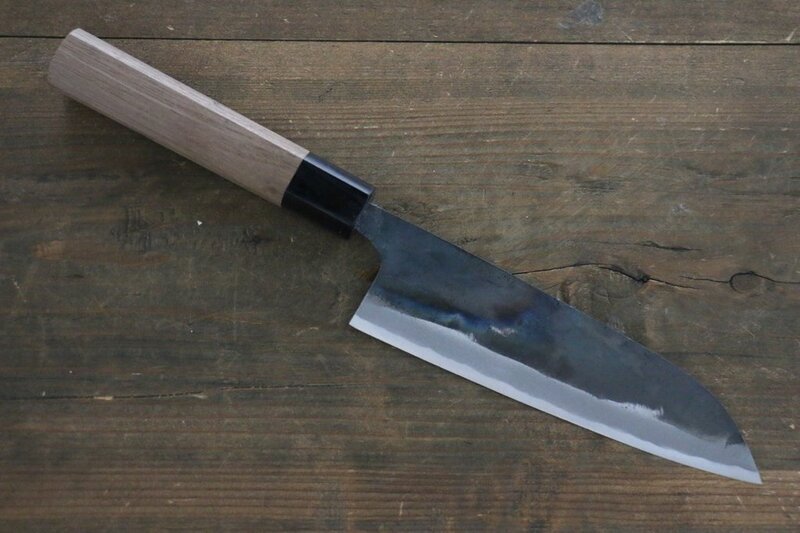 Carbon steel will discolour and if not properly looked after it will develop rust. Please see Steel Types for more information. 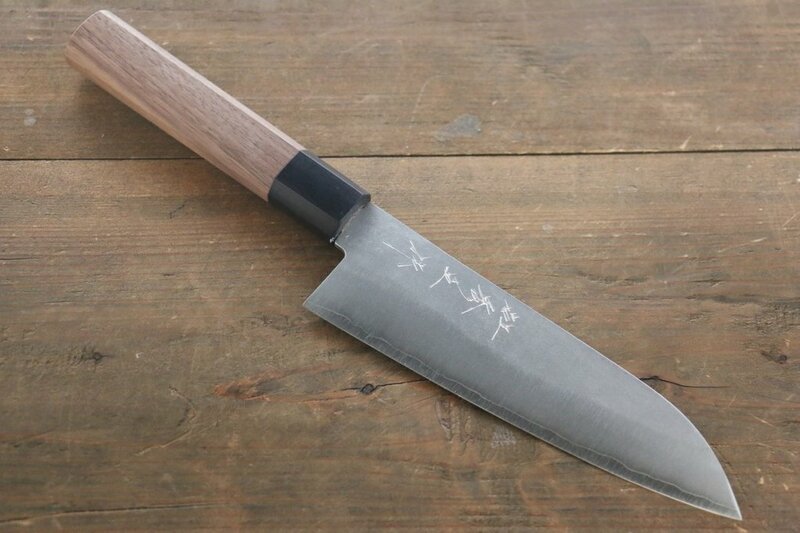 We have carefully sourced mainly high carbon knives that are often Clad in Stainless so you get all the benefits of the familiar Stainless and the superior edge of Carbon. 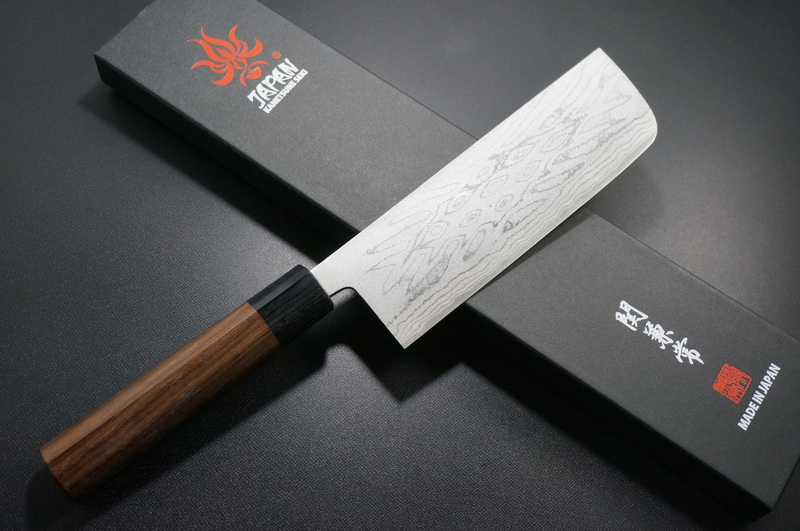 New for 2018 a Tokyo style Nakiri from Tojiro - slightly smaller than many Nakiri knives, extremelylight weight and in a very traditional Kurouchi style. 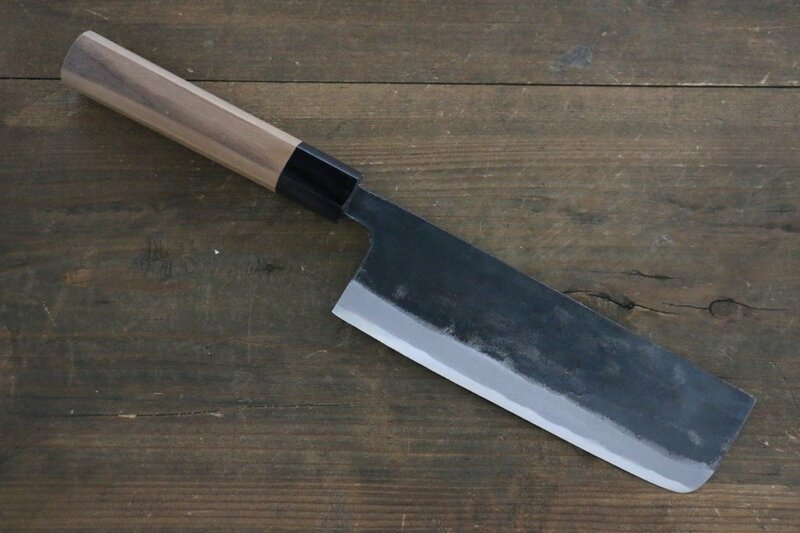 Great value for such a versatile knife. 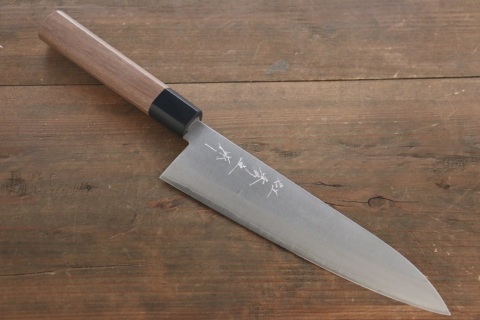 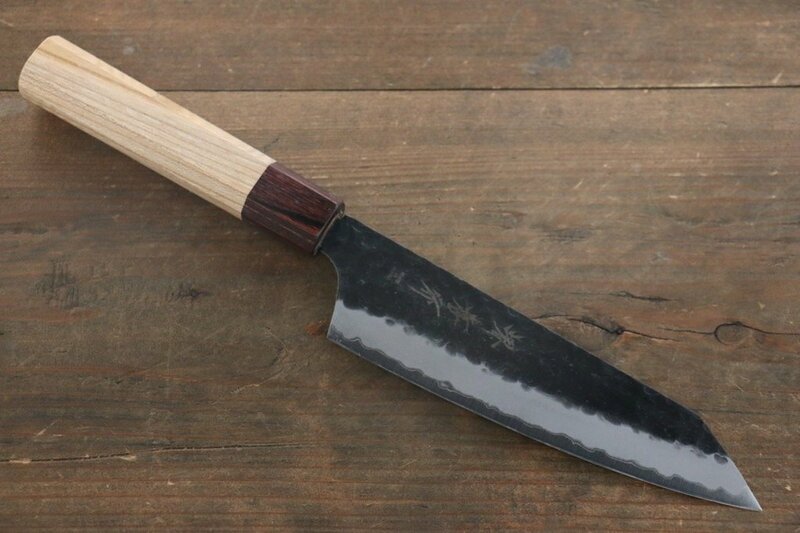 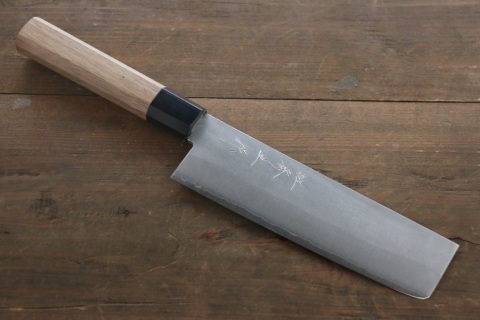 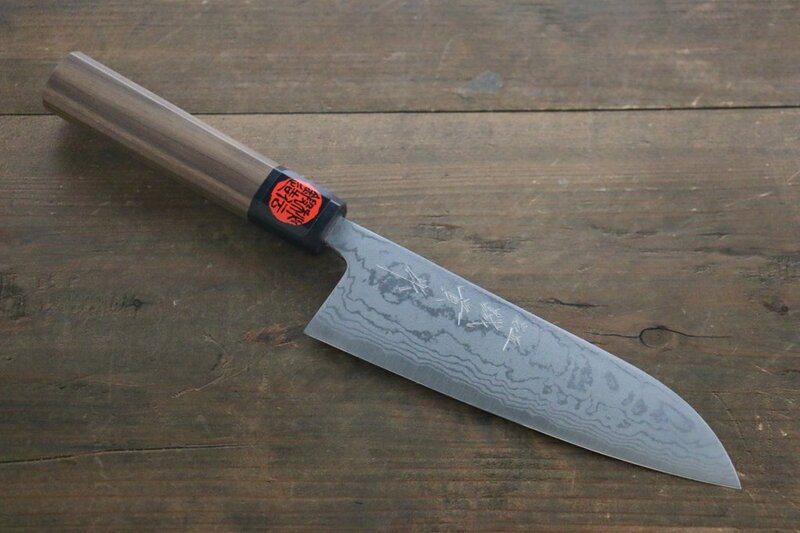 A popular Usuba Nakiri Knife with a slightly angled blade, featuring an elegant 'Sumi Nagashi' pattern created by the skilled folding and hammering of the steel.